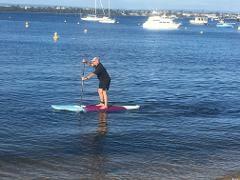 Want to learn Stand Up Paddle? 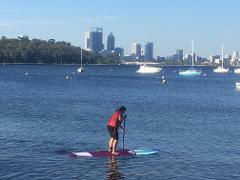 Here at SUP Central we offer a variety of Stand Up Paddle (SUP) lessons. You can go it alone (with an experienced Stand Up Paddle instructor) or join a group SUP lesson. 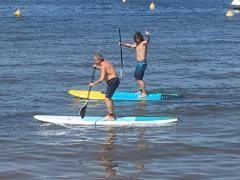 You can even bring a mate to your SUP lesson, meaning you share the fun and the cost! 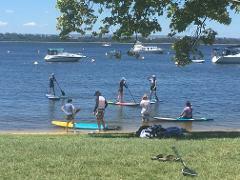 View the SUP lessons we offer below. If you want something even more tailored, get in touch. Group lessons are not only our best value, with 6-8 people you can guarantee it’s going to be fun! You know what they say: Friends that SUP together stay together! 2 person lessons are all the fun and quality instruction that you get from a 1 on 1 lesson but you get to share the experience with a friend AND at a reduced price! 1 on 1 lessons are a perfect way to get started with Stand Up Paddle Boarding or hone your skills with professional guidance from qualified instructors.